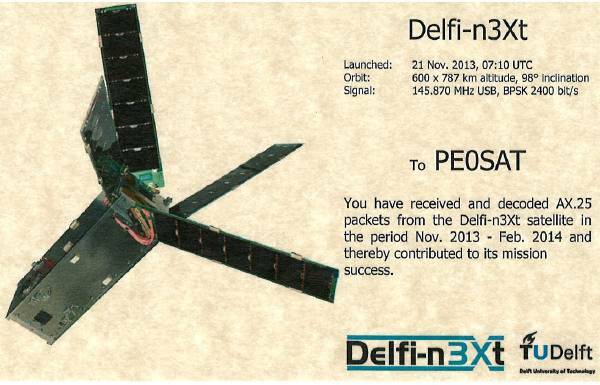 The Delfi-Next mission (also written as Delfi-n3Xt) is second in a development line of nanosatellites called the ‘Delfi Program’ and is successor to the successful Delfi-C3 mission. The mission statement for Delfi-Next is as follows: “Delfi-Next shall be a reliable triple-unit CubeSat of TU Delft which implements substantial advances in 1 subsystem with respect to Delfi-C3 and allows technology demonstration of 2 payloads from external partners from 2012 onwards”. The Delfi-Next mission is further specified according to the three general objectives of the Delfi program. The Delfi program shall provide students optimal preparation for careers in space industry. This preparation includes improvement of skills in systems engineering, teamwork, scientific writing, and communication and facilitates hands-on experience with all aspects of the development of a (small) spacecraft. For Delfi-Next, the two payloads onboard are a micro-propulsion system developed by TNO in cooperation with TU Delft and University of Twente called T3µPS and an in-orbit configurable, high-efficient transceiver platform developed by ISIS BV, in cooperation with TU Delft and SystematIC BV called ITRX. 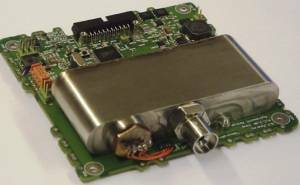 Delfi-Next will carry out an onboard experiment on hydrogenated amorphous silicon solar cells from the micro-electronics institute DIMES from the TU Delft. 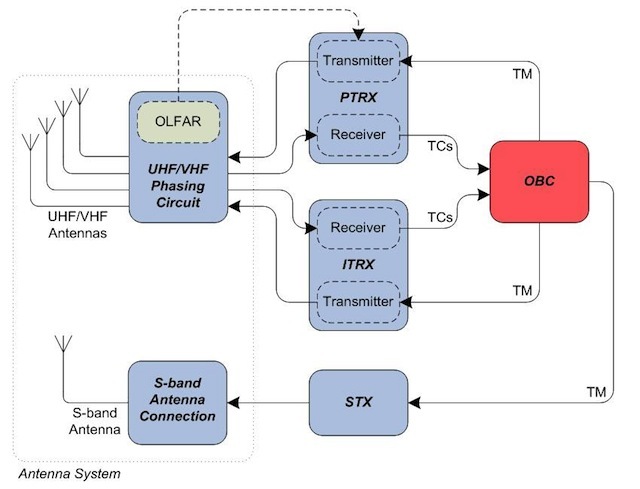 Additionally, an experimental very low frequency receiver might be tested as precursor for the OLFAR program. The mission clearly states that one subsystem should be significantly advanced compared to Delfi-C3. The attitude control system plays an important role in more advanced capabilities for nanosatellites. 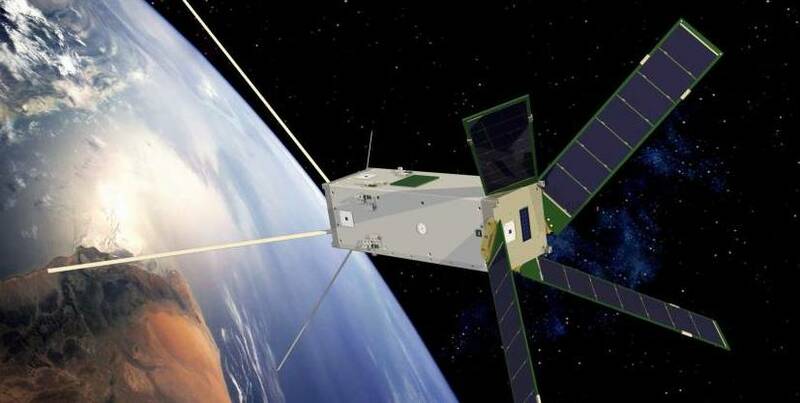 With full three-axis active control, sun-pointing a solar array could yield more specific power, ground station tracking could be used for higher data-rates, instrument pointing can be used for remote sensing and formation flying is possible if attitude and orbit can be (relatively) controlled. Delfi‑C3 is equipped with a passive magnetic attitude control, which is unsuitable for such functionalities. As such, it is decided that Delfi-Next will be significantly advanced in the Attitude Determination and Control Subsystem compared to Delfi-C3. Cold gas propulsion is the simplest configuration, requiring the least components.In a controlled manner gas is released from a tank by a valve and expelled through the thruster. Such a cold gas blow-down rocket engine typically consists of a gas tank, a pressure and temperature sensor, an on/off valve and a thruster. The micro propulsion payload has a possible application for formation flying with CubeSats. It is a Cold Gas Generator technology which is save upon launch and has a variable trust between 0 – 6 mN. 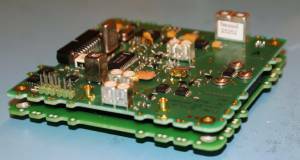 2405.00 MHz 20-500 kbit/s, MSK, 125mW high speed, inactive. 145.880 – 145.920 MHz (inverting) 200mW PEP transponder, inactive. 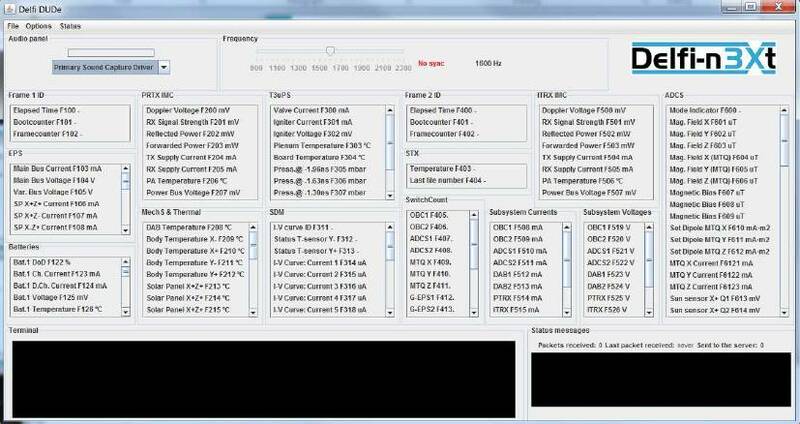 Where Delfi-C3 is using rascal as telemetry software, Delfi-n3xt has a new version that is called DUDe. The software will be available in the next couple of weeks. Ground stations that are using rascal will have to request a new user account when they want to automatically upload there received telemetry. One other thing that is changed, the downlink data rate is 2400 baud bpsk. Launched not active. Delfi-n3Xt is now planned for a launch in mid 2013 with a the Russian Dnepr launch vehicle expected launch November 2013 from Yasny launch site.